The SA RUGBY LEGENDS ASSOCIATION (SARLA) is proud to announce that South African online automotive sales search platform, Carfind.co.za has signed a 2-year title sponsorship deal in support of the Legends Iqhawe Week. To be known as the Carfind.co.za Legends Iqhawe Week, the rugby tournament brings together representative U15 development teams from the 14 rugby unions in South Africa, and is backed and endorsed by SA Rugby as an official Youth Week. 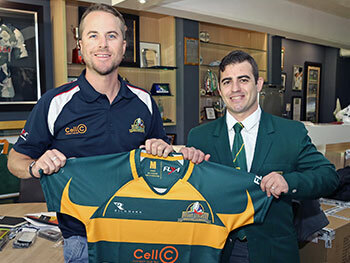 “We have been running this tournament successfully with SARU’s backing for the past 3 years,” said SARLA CEO Stefan Terblanche, “the aim being to give development rugby teams a national platform to play in and a chance for some of these talented youngsters to be identified for future development in our SA rugby structures”. The Carfind.co.za Legends Iqhawe Week forms part of SARLA’s rugby development programme which includes Vuka Rugby and the Legends Cup. South Africa’s youth”, said Carfind.co.za’s Marketing and Insight Executive Kevin van Deventer. 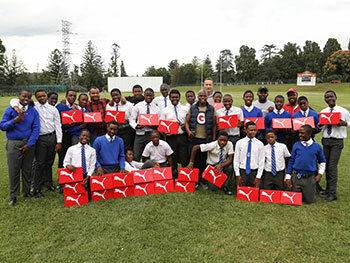 “The Carfind.co.za Legends Iqhawe Week is also a project that has long-term sustainability, it’s not only about the one week tournament, but about a year long programme around the country that gets these youngsters out onto the playing fields, and away from the negative influences that so many of them may be exposed to where they come from”, he said. 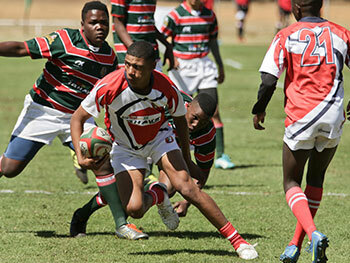 The success of the tournament has grown since it began with 26 of the U15 players who participated in last year’s event being selected to represent their respective provinces at the U16 Grant Khomo Week this year. This year’s Carfind.co.za Legends Iqhawe Week will take place in at the Bill Jardine Stadium in Johannesburg from the 3rd to 6th October 2016.